Sussex Chamber of Commerce works closely with all local borough councils as well as West Sussex County Council & East Sussex County Council. Together we aim to grow the local business community and adopt best practice to help drive business forward. As a key voice for business, both national and local government bodies look to the Chamber's members for feedback to feed into policy making decisions. This means we can influence important decisions that affect us all. In addition, we work closely with affiliated chambers, Local Enterprise Partnerships, other business support groups and organisations working to bridge the gap between business and young people. Local enterprise partnerships are partnerships between local authorities and business. They decide what the priorities should be for investment in roads, buildings, facilities and skills in the area. East Sussex County Council is the local authority for the non-metropolitan county of East Sussex. The Council provides various services to its residents including protecting and supporting vulnerable people, communities, environment and economy, public health and community safety, highways and transport, schools, and libraries and consumer support. 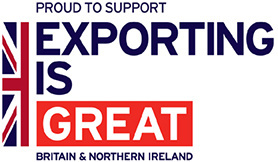 The International Trade Team has strong links with Department for International Trade (DIT), the Government department promoting British business overseas. It is able to offer an extensive range of products and services many of which are either free of charge or subsidised.